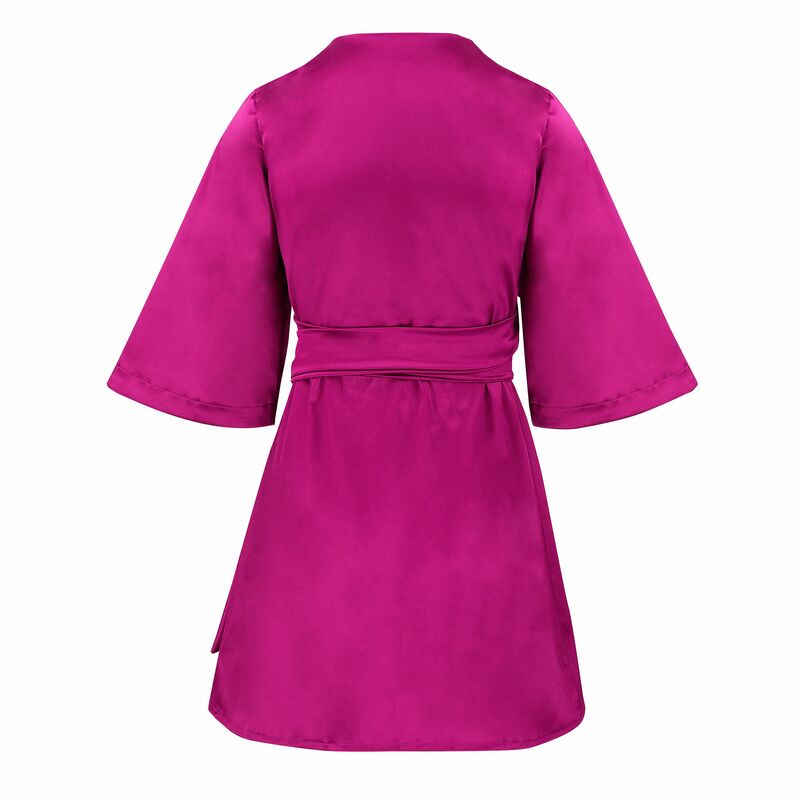 Magenta Mary-H-Wrap Mini dress Kimono Top. Home / CoCo VeVe The label / Magenta Mary-H-Wrap Mini dress / Kimono Top. This season our Mary-H-Wrap has had a re-vamp. Created in Magenta fabric . 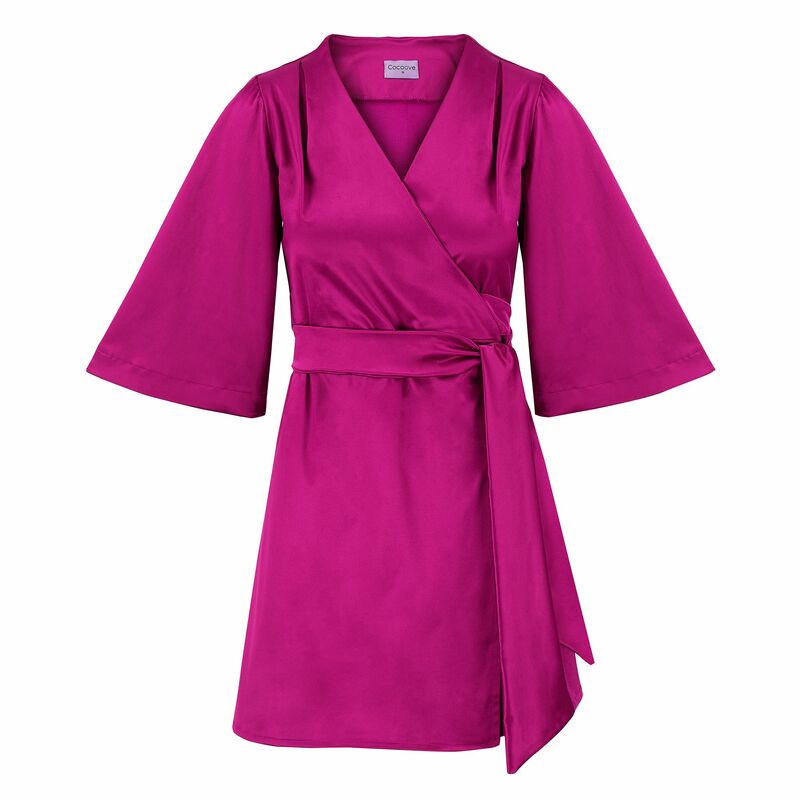 Stylish wrap dress with 3/4 Kimono sleeves. Can be worn as a mini dress or wore over our wide leg Sofia pant.